Now any DJ or mobile entertainer can program their light show like a pro, thanks to myDMX 2.0, a new computer-based lighting control product from American DJ. Available for both Windows and Mac OSX operating systems, myDMX 2.0 is a stand-alone hardware/software package that makes it easy to create and playback dynamic scenes and shows in minutes. . . even if you’re not a technical whiz or lighting engineer! Equipped with a large built-in fixture library, myDMX 2.0 is designed to work with popular lights from all major manufactures. Simply select your lighting fixtures from the library’s extensive list – and you’re ready to begin programming your light show. Featuring easy-to-use DMX software and a fresh new graphical and hardware interface design, myDMX 2.0 was developed so that even novices at computer-based lighting control can generate amazing effects and put together a cutting-edge light show. Using the system’s convenient Scene Builder and new drag and drop effects generator, you can arrange your lighting fixtures, draw effects directly onto fixtures and set your effects in real-time for precision-control playback. “Everything about myDMX 2.0 was designed to be very visual and intuitive, so that virtually anyone can get started using it right away to create a professional DMX light show,” said Alfred Gonzales, national sales manager for American DJ. “This is true even if you have no experience in computer-based lighting control. http://www.americandj.com/ProductDetails.aspx?Category=&ItemNumber=2114. Currently, users can visit the link to get a free download of the most recent myDMX 2.0 software for both PC and Mac, dated July 5, 2012. This PC version includes Windows XP compatibility. 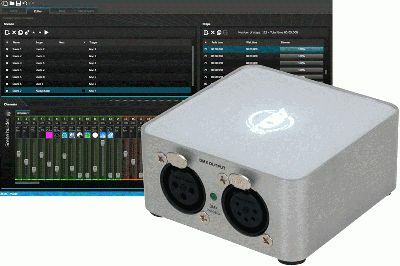 Not only does myDMX 2.0 make it easy for DJs and mobile entertainers to get started in computer-based lighting programming and control, it also makes it very affordable. The MSRP of myDMX 2.0 – including a CD with the software, USB-DMX interface and USB cable – is just $399.95 ($299.99 MAP!). • Compatible with Windows Vista, Windows 7, Windows XP & MAC OSX (10.6 & higher).